The Darbuka Ofis, established by Raquy in 2012, has become a gateway into the incredible Turkish Split Hand Technique, a new style that has emerged in Turkey in the last 20 years allowing the Turkish drummers to play with unprecedented speed and dexterity. Drummers from all over the globe are flocking to Istanbul to study this style. The Darbuka Ofis serves as a meeting place where many of the greatest Turkish drumming masters gather to practice and jam. It is also a place where people can take private or group lessons with Raquy and some other amazing Turkish drummers. A few times a year the Darbuka Ofis hosts week Darbuka Intensives and offers daily classes for a week at a time. Next Darbuka Intensive at Ofis - December 26 - 30, 2018 with Raquy and Bunyamin Olguncan! Drummers from all over the globe are flocking to Istanbul to study this style. The Darbuka Ofis serves as a gateway into the world of Turkish Drumming and as a meeting place where many of the greatest Turkish drumming masters gather to practice and jam. 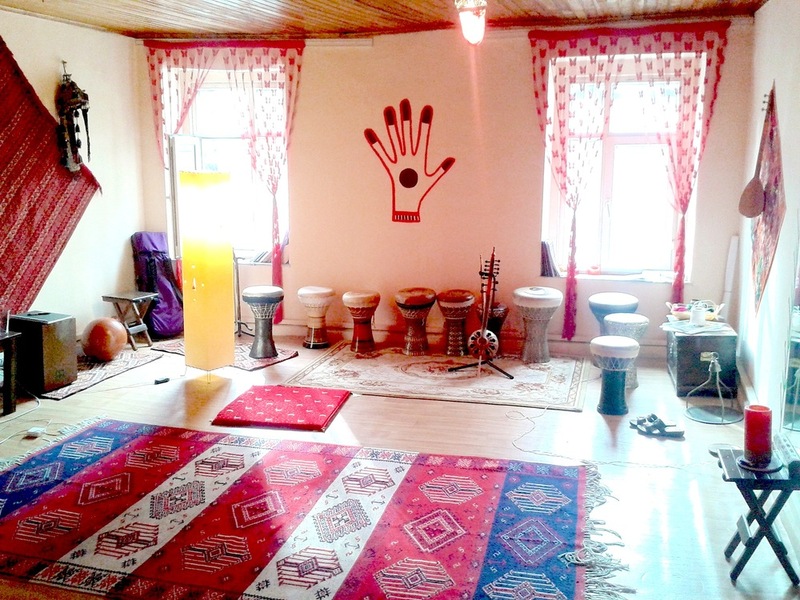 It is also a place where people can take private or group lessons with Raquy and some other amazing Turkish drummers. Next Darbuka Intensive at Ofis - December 26 - 30 2018 with Raquy and Bunyamin Olguncan. NEW! We have recently launches our Virtual Darbuka Ofis through Powhow, where you can take live and pre recorded classes from the Darbuka Ofis, online, from anywhere in the world!. CLICK HERE for more info.